I hope everyone had or is still having a great holiday. Today I am proud to announce that I have the opportunity to speak again at the Microsoft TechDays in Switzerland. 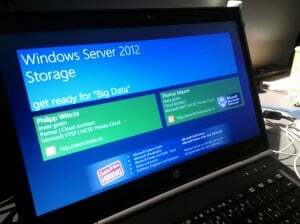 From 30th – 31st January the Microsoft TechDays will take place in Baden. The conference will cover the latest trends and news from the industry and is a great opportunity for IT professionals and software developers to learn all about the newest developments in Microsoft technologies, products and services. So if you want to learn the latest and greatest about Microsoft technology, make sure you attend this event. 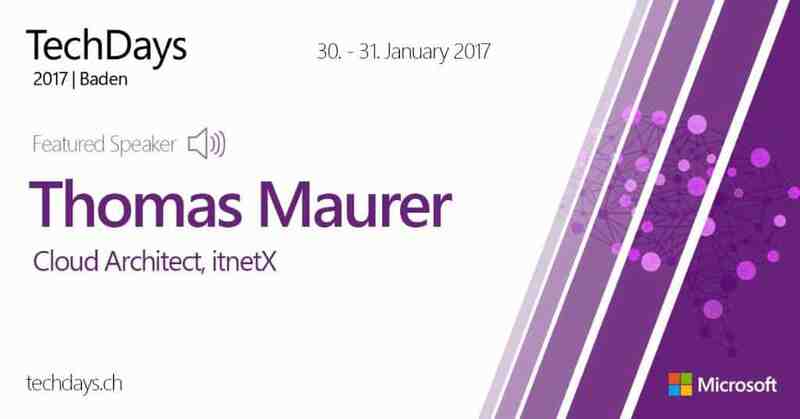 From 30th – 31st January the Microsoft TechDays will take place in Baden. The conference will cover the latest trends and news from the industry and is a great opportunity for IT professionals and software developers to learn all about the newest developments in Microsoft technologies, products and services. 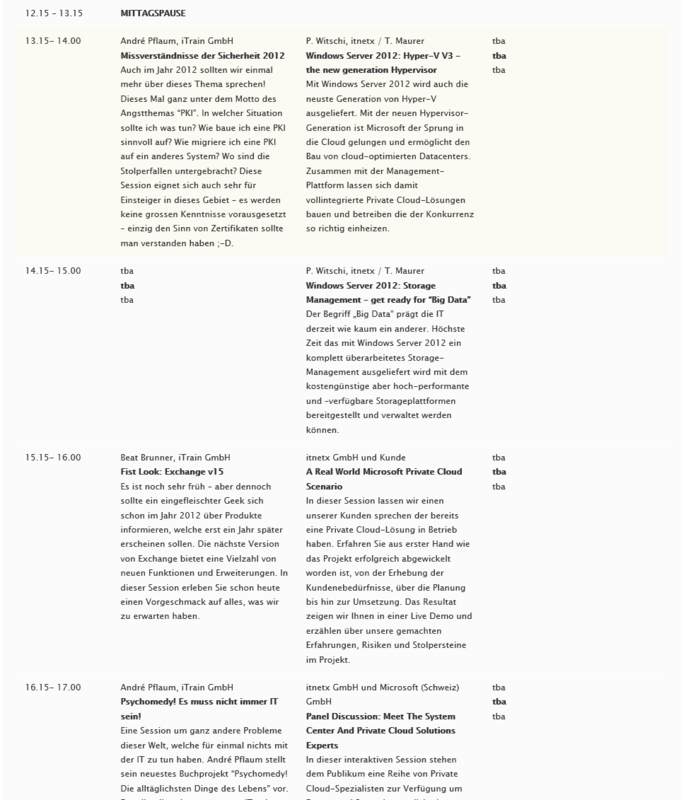 There are also more cool session and I specially want to announce the session of Markus Erlacher (CEO itnetX) and Marcel Zehner (Microsoft MVP) called “Better Together: System Center und Microsoft Operations Management Suite”. So if you want to learn the latest and greats about Microsoft technology, make sure you attend this event. The Session is in German and shows how you can use System Center 2012 R2 – Virtual Machine Manager as your Datacenter Management Tool, to manage your Fabric like Storage, Network and Compute, how you can Pool Resources, create Tenants, Service Templates and about the Self-Service Portals like App Controller and Windows Azure Pack. 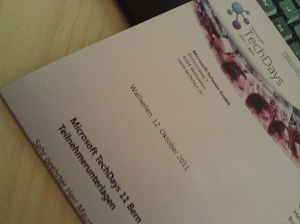 Some months ago I had the chance to present at the Swiss Microsoft TechDays 2012 in Basel. 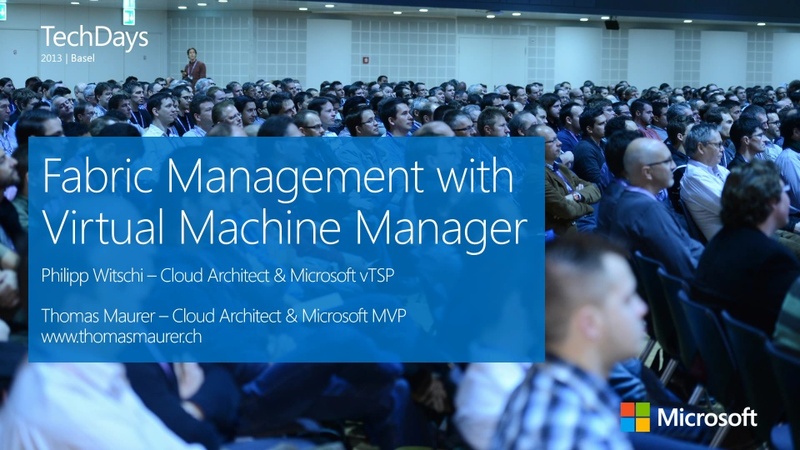 I had a session together with Michel Luecher from Microsoft Switzerland about the new features in System Center Virtual Machine Manager 2012 SP1 and how you can manage your new Windows Server 2012 Hyper-V environment. Last week Microsoft Switzerland organized their largest event in 2012 called TechDays 12 which took place in the beautiful city Basel. 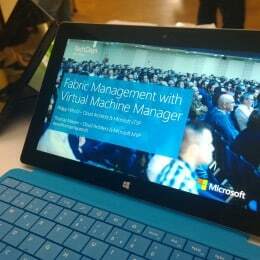 Two days sessions about the latest and greatest Microsoft technology for IT Pros and developers. I had a session together with Michel Lüscher from Microsoft Switzerland about System Center Virtual Machine Manager 2012 SP1. Of course there were a lot of great session with itnetx contribution from Philipp Witschi, Marcel Zehner (MVP System Center Data Center and Cloud Management) and the former Microsoft Switzerland employee Markus Erlacher who will be joining itnetx on 1st of March 2013. 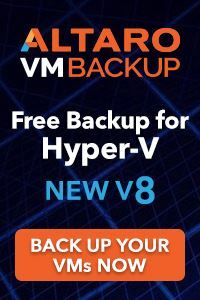 After reading my RSS feeds and Twitter feed I saw a blog post from Marcel van den Berg (vExpert 2011 from the Netherlands) that the sessions are now online available. Last Friday I had two session at Geekmania 2012, a the conference for real geeks. Together with other architects and engineers of itnetx we were presenting lot of cool stuff around Microsoft Virtualization and Systems Management at Level 400. 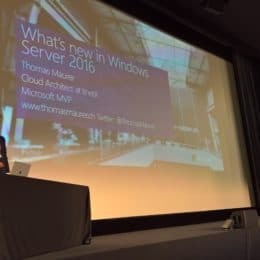 In my two sessions me and Philipp Witschi from itnetx talked about the new Windows Server 2012 Hyper-V features like Hyper-V Replica and in the second session I focused on Hyper-V over SMB, showing new features and possibilities of SMB 3.0. 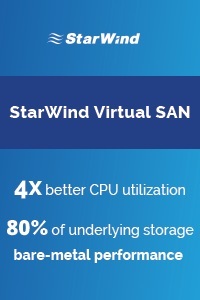 A great thing to see was the full cinema hall (around ~120 people) during the Hyper-V and Windows Server 2012 Storage session, which shows the great interested in Hyper-V. I hope people could learn something new and enjoyed my sessions and Geekmania 2012. 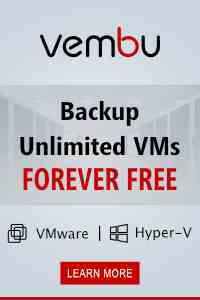 It was great to talk to a lot of people about the new Hypervisor. 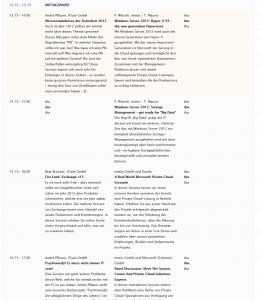 If you enjoyed my sessions I hope you will attend my session about System Center Virtual Machine Manager 2012 SP1 on the Swiss TechDays during 19.11. and 20.11. in Basel. In the next two days the biggest Microsoft event in Switzerland will be held at Bern. Microsoft will bring the latest news about Windows 8, Windows Server 8 and the System Center 2012 Suite from the BUILD conference to the Swiss IT Pro audience. On the IT Pro track, private cloud will be the key topic. In der Keynote stellen Ihnen unsere Technikexperten die wesentlichen Neuerungen unserer anstehenden Servertechnologien Windows Server 8, SQL Server „Denali“ und System Center 2012 vor. Anschliessend werden technische Informationen und Demos für Produkte wie SQL Server „Denali“, System Center 2012, PowerShell, IPv6, Virtualisierung und Private Cloud, Windows und SQL Azure sowie Office 365 und Endpoint-Managementangeboten. 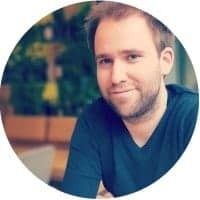 Der Tag beginnt mit der Keynote des Branchenexperten Neno Loje über das neue Visual Studio 11, das kürzlich auf der BUILD-Konferenz vorgestellt wurde. Softwareentwickler und –architekten erhalten anschliessend die aktuellsten Informationen und Demos über Produkte wie Windows Azure, ASP.NET MVC 4, Windows Phone „Mango“, Silverlight 5, SQL Server 2008 R2 / SQL Azure / SQL Server „Denali“ sowie Visual Studio Lightswitch und HTML5. 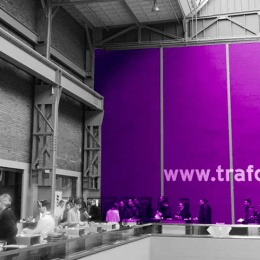 More information and the agenda can you find on the techdays homepage.